This Is The Teen That Anthony Weiner Was Sexting?!?!?!?!?!?!?!?! The mystery teen who sexted with Anthony Weiner is coming forward to talk about her experience. She wasn’t willing to let Inside Edition use her name. But she did agree to go on air and talk about what happened to her. 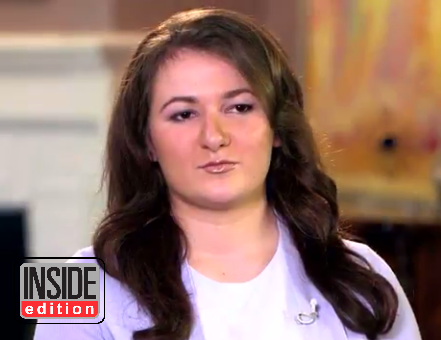 “I was disgusted,” she told Inside Edition, which got the exclusive. The show would not tell The Mirror how much it paid the teen to appear on the program. But previous guests who have agreed to be interviewed have raked in upwards of $1500 for an appearance. The air date is Sept. 11, which only seems fitting since it’s the anniversary of some 3,000 people dying in a New York City terrorist attack. The show agreed to withhold her name because she’s a minor. Still, viewers will see her face for the first time. The teen says she first encountered Weiner in 2016. According to a release, the girl says that she contacted Weiner when his wife – Hillary Clinton’s top aide Huma Abedin – was at the peak of her influence working on the presidential campaign. Other messages Weiner sent her: “You are kinda gorgeous,” “Your body is pretty insane,” and “I thought about you this AM.” According to Inside Edition, some of the messages are “so obscene” they can’t be shown on TV. It was over Skype one day that things took a sharp wrong turn and Weiner the perv asked her to undress. The experience has been overwhelming. She says her family has moved to another town and she’s now being homeschooled. Sure hope she enjoys that fat paycheck from Inside Edition.